I don't do movie reviews often here on my blog. When I do, I like to make them related to the comic industry or drawing. In this case, I make an exception for The Hobbit: The Desolation of Smaug. I want to say right away that I enjoyed this movie and it is a great movie. I never read Lord of the Rings. My experience with The Hobbit is reading it as a child. As a child I thought it was a cute story. I didn't really understand Gollum. 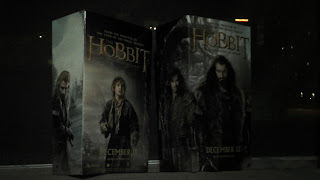 The drawing of the Hobbit was something stuck in my mind, especially the big hairy feet. 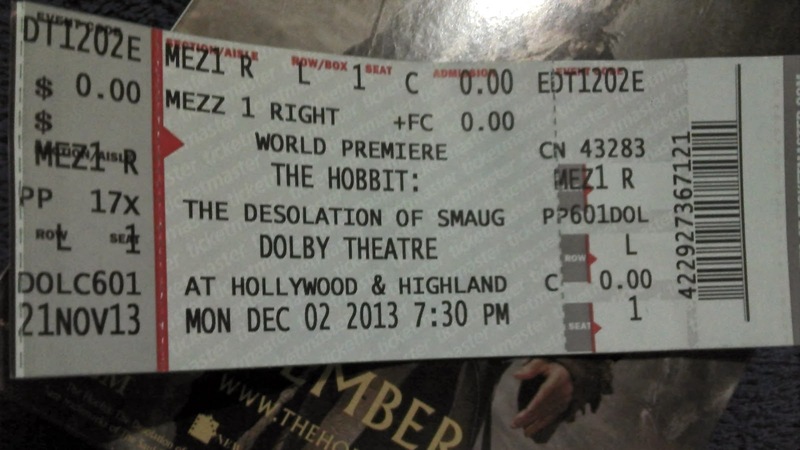 Last night I attended the world premiere of The Hobbit: DOS, in Hollywood. I arrived two hours early. That is usually enough time to put me in front of the line. But I forgot this is a part of a fandom that I'm not a part of and there were people there much earlier than I. The line was already a block and a half long. And it was far removed from the red carpet. So I didn't get to see the cast as they arrived. I think they could've made the line go along the red carpet so we could see that. In any case, I forgot my smartphone so I would have been able to take pictures of them. Once the line started moving, we did get a glimpse of Orlando Bloom. And inside there were free popcorn and drinks for us. Our seats were assigned and we were in the balcony of the Dolby theater. Cast, crew and industry people were below. Movie was in 3-D. And I was, for the first time at a angle to the screen for 3-D movie. I was concerned about the 3-D effect at that angle. But I needn't have worried, it worked fine. This is a big movie showing a big world and they show you it in excruciating detail. And I do mean detail. You can see everything. Used to seeing this kind sharpness on HDTV. And at times I felt I was watching a hugeTV screen. The 3-D was effective and well done. There are nice little bits with bumbly bees and butterflies. I also felt at times I was traveling into the world. Sometimes felt I was inside a videogame or an amusement park, which is meant as a compliment. This world is very well constructed and brings me to one of the reasons why I'm reviewing this. All artists should see this film to see how to put depth into your drawings and compositions. To see how to build a world. Movie starts off with Peter Jackson cameo, which was fun. You don't need to have seen the first movie to know what's going on. There's a nice breezy recap at the beginning with Gandalf. The story is well told. There are no slow parts as in the previous movies. There's a sense of adventure and fun in this movie. More so than the previous ones. I think Peter Jackson finally gets his stride and finds the rhythm. The presence of Gulliermo del Toro may have helped. The company of dwarfs and hobbit continue their quest with many trials and tribulations. They encounter elves along the way. We are treated some of the best action sequences I've seen in a long time. Usually CGI actions move too fast for the eye keep up. What's the use of action scenes if you can't see the action? In this case… there was a smooth blend between live-action and CGI. 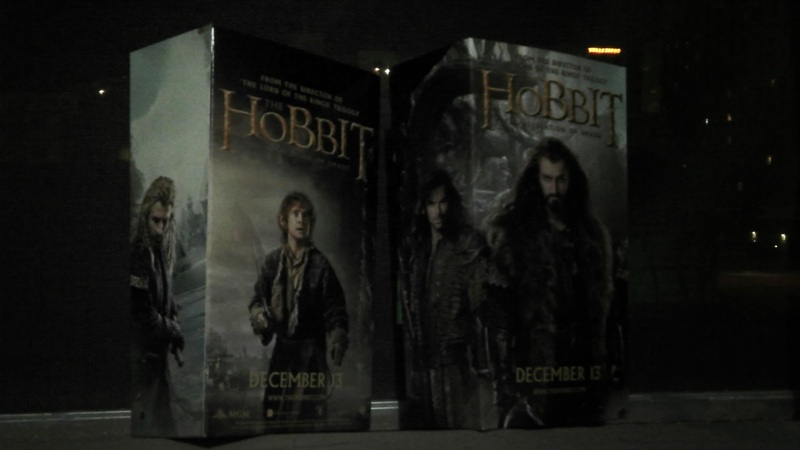 The choreography of the elves going from long distance fighting to close quarters is amazing. Evangeline Lilly as Tauriel acquits herself well in this movie with the action and acting. 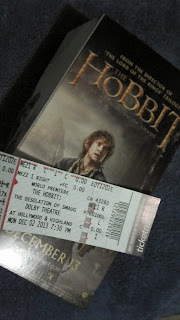 The seeds are sown for a romance between Tauriel and a dwarf, which is handled well. When Bilbo finally meets Smaug, we are treated to the most fully realized dragon ever to be seen on the screen. The dragon’s weapon is fire, which spreads. Yet it has the aim of the Storm Tropper and keeps missing the dwarfs and Bilbo. The movie is two hours and 41 minutes long and it doesn't feel like it. By the time the dragon appears you want to continue watching the movie when it ends. It is a cliff hanger ending and I hope the next movie continues right where this ended.